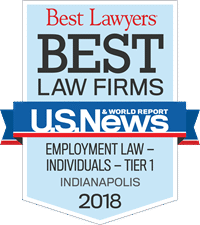 DeLaney & DeLaney provides legal services to a wide variety of clients in nearly all types of civil litigation, contract negotiations, and employment related matters. Together the firm's lawyers have more than 60 years of trial experience – including nearly two years of actual time in front of juries. Our firm welcomes client referrals from colleagues in the legal community, co-counsel from around the state and the nation, coordinating national counsel for mass tort litigation, and in house attorneys. The firm handles all types of litigation matters, including product liability defense, contract disputes, commercial disputes, and estate-related controversies. The work that we do matters not only to our clients, but also to our broader communities, where our attorneys, paralegals and staff volunteer for charitable, legal and industry organizations. Our attorneys are frequently recognized for achievements in law and in life. 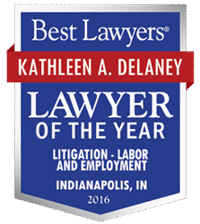 Congratulations to Kathleen DeLaney for being selected as a Top 25 Female Indiana Super Lawyer for 2018. 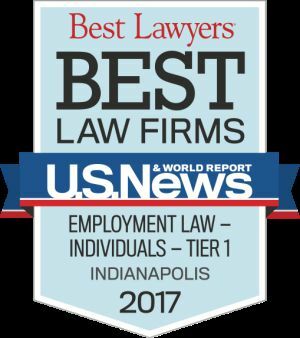 Kathleen has been consistently selected as an Indiana Super Lawyer for the past 13 years, and she has qualified for the Top 25 Female Super Lawyer list several times.